Interesting stuff here! I love the way you use cardboard as mulch and compost – I’ve wondered if that would work! I’m blogging about your post. Hope you don’t mind, but you’ve really caught my attention. How long have you been working your garden? Did you get a good crop right from the start? Do you have any problems with animals getting into it? I live in a mild climate too, where a garden could be a tremendous asset after the initial investment if we could just get past a few obstacles. Your post was very encouraging. Thanks Kim C for mentioning my blog. I’ ll be posting what I do weekly to provide food for my family for nearly zero cost. Your questions:How long have you been working your garden? I think that it has been about five years. I noticed that in three seasons there was significant difference and I could plant almost anything, certainly seeds. I didn’t begin by planting seeds or crops that were difficult. I started with tomatoes, beans, squash and zucchini. I dug a hole (not easy in our then-cement soil) and filled the hole with potting soil and compost. then I put each plant start in that. Then mulched heavily around it with paper to keep the weeds down and keep the moisture in. Did you get a good crop right from the start? Vegetables were smaller and more prone to insects at the beginning. The healthier your soil, the better your plants can fight off a little disease or insects without chemicals (which aren’t frugal either). I did get enough to make a difference in the grocery bill. I should add that I always bought the cheapest seeds (now I save my own and trade)so I could plant enough for the inevitable insects, animals, birds, etc..
About varmints: I have a dog who I post out on lookout during the day and many farm cats. Also, I have a double fence on one side that is actually a cattle path. Deer won’t jump two fences! About the paper mulch: I use whatever I can get my hands on. I patrol neighborhoods in the fall and pick up bagged leaves to put in my garden as mulch too! Someone mentioned worm composting (vermicomposting). That is essentially what is being done here. The worms love to eat the paper and while doing so leave perfect tunnels for the water to get to roots. Plus they leave the perfect PH fertilizer which is free and won’t leave harmful salts like store bought fertilizer will. The paper mulch does all that AND keeps the garden moist so I don’t have to water as much and keeps the weeds down so I don’t have to weed as much. As I said, I started with hard clay soil. In just a few seasons: spring, winter, spring–I had nice rich black soil. My husband can’t get over the difference. I don’t need a tiller, but I finally have one, but only use it occasionally. I like to let the worms till for me. Hope that helps. 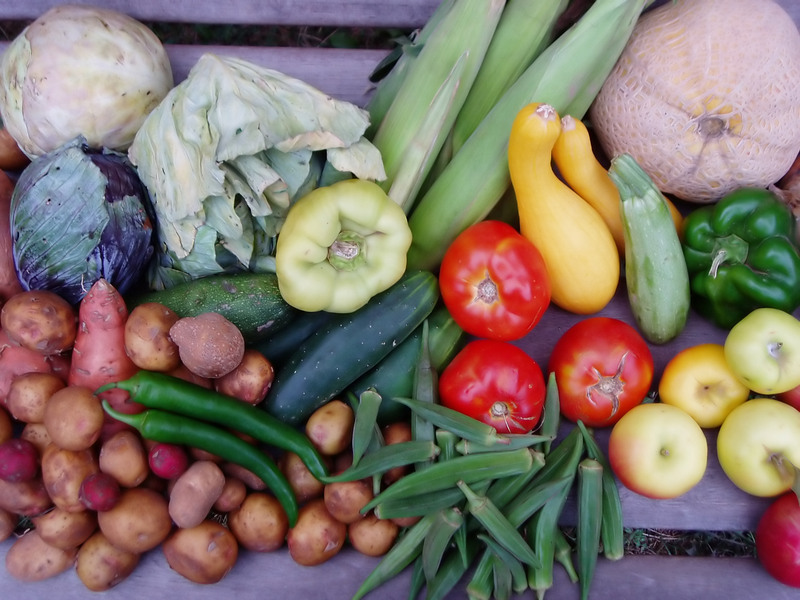 Come back to visit my blog because I will be blogging year round about what I’m doing in the garden that is frugal and yields NUTRITIOUS food that is almost free. I have been setting up a large no-till garden using composed manure and composted leaves. However, the compost seems to dry quickly and subseuqently dries out the seedlings. Is the answer to simply water more often? Is this normal? Also, some of my seedling have a yellow color to them–I realize that represents a deficiency….perhaps my manure isn’t not composed well enough. Probably need to add some amendments. If you have any experience or insight into this problem, I would be grateful.